My gosh. The trailers, this episode, the predicted ending – I can’t. It’s all we ever hoped not to happen and everything is falling apart. To illustrate my point, we’re going to play a game from today till the end of the drama: we are going to keep a death counter. In terms of tragic dramas like this, producers (cough Chen Yu Shan) love to kill off our beloved characters, so let’s see how far she goes. 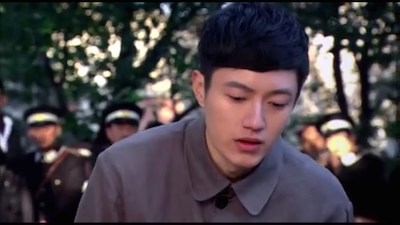 Jie Wen convinces Jiang Xin to go visit Du Xiao Han one last time before she’s sentenced to death. 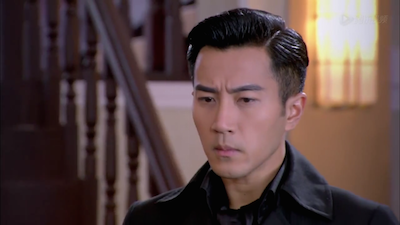 He convinces Jiang Xin that Du Xiao Han has changed and is remorseful for what she’s done. 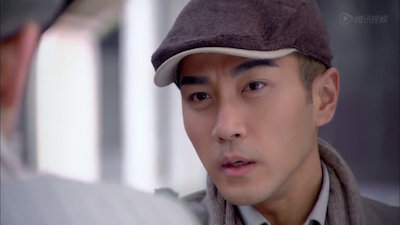 Jiang Xin and Du Xiao Han have a teary reencounter. 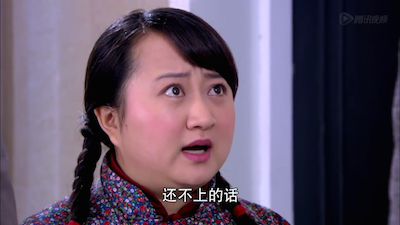 Du Xiao Han apologizes for everything that she’s done, and Jiang Xin forgives her. 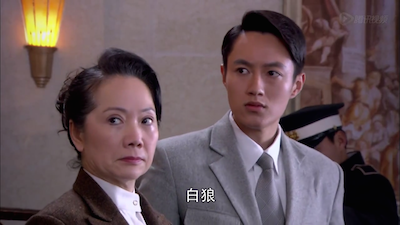 Jiang Xin asks her what her mother and grandfather were like – and it was such a sad and teary scene. Du Xiao Han recalled how kind and generous her family were, and that she truly feels sorry for what she’s done. The next day, she received her death sentence of being shot to death. She smiles after being shot, as if she felt at peace finally. Bai Lang and the crew go off to rob the Japanese. 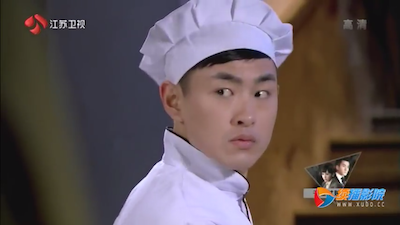 Shi Tou disguises himself as a chef and roofies the Japanese troops (serve them medicine that knocks them out). 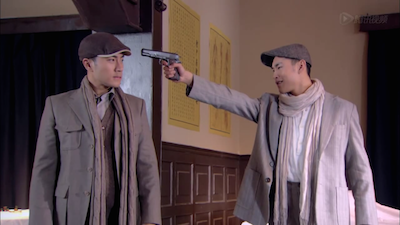 They successfully rob the Japanese except somehow Shi Tou gets shot. 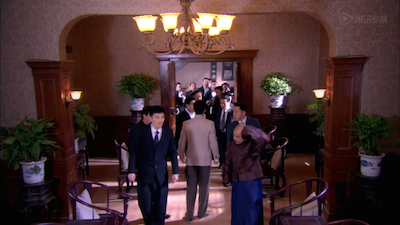 The elders confront Bai Lang about refilling the emergency money that he used to bail out the Ye family and Bai Lang presents them the loot that they robbed from the Japanese.They found cocaine in the loot, and at the same time, the authorities crash Bai Lang’s place from an anonymous tip. 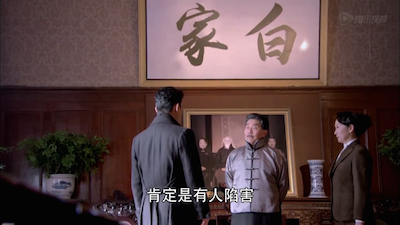 Luckily the elders got his back – they recognize that he’s been framed and tells Bai Lang to escape from a secret door. 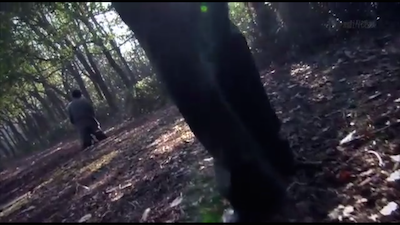 Unfortunately, a few minutes after he leaves, someone, whose face is covered, comes in and shoots both elders. The thing is, we’d be in suspense and in shock if only they didn’t show that it was Shi Tou in the previews -____- c’mon guys. Bai Lang is framed for treason (for helping the Japanese traffic illegal drugs into Shanghai) and the murder of the two elders. 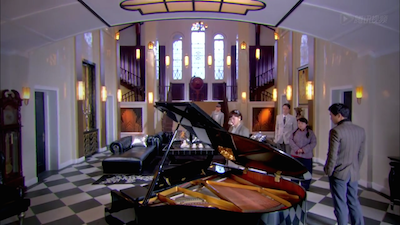 Jiang Xin finds out and heads to the Bai mansion to clarify what happened. Chun Hua reveals everything: In order to bail out the Ye business, Bai Lang used the emergency money that was meant for Bai family. The elders only gave him a month to repay that money, or else he’d be fired as the leader of the Bai family – so that’s why he robbed the Japanese and fell into their traps. 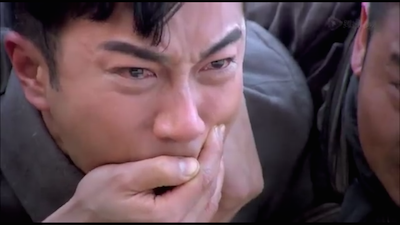 Jiang Xin felt guilty because she felt like that it all stemmed from her. Hell yeah you should feel guilty, and I hope you feel regretful for not showing him love because he’ll be gone soon. 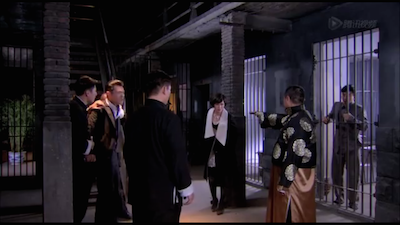 Anyways, Shi Tou manages to escape from being held hostage, and is chased by Lei Ba Tian’s men. 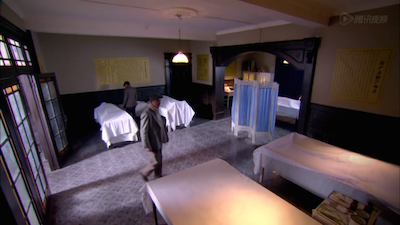 He bumps into Bai Lang, and they both head to the mortuary to examine the body to see if there is any clue on who killed them. 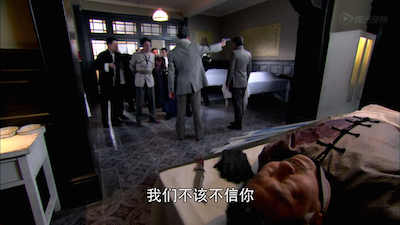 And… the bullet inside one of the elders point to Shi Tou. It’s because it’s a copper-headed bullet and only Japanese soldiers had something like that. Only Shi Tou had access to Japanese guns because he disguised as a Japanese soldier. And we suddenly flash to him shooting the elders. I would like to point out he literally changed into all back with a leather jacket (even though he was suffering from a gunshot), just to shoot these people, so he could change back into his patient clothes right afterwards? Wait so you’re committing an act of crime where no witnesses are left alive but you decide to get changed into all black? Fine, let’s say you wanted to hide your true identity in case someone does see, so… you didn’t cover up your face? Just… so many questions. Shi Tou admits to everything, and kicks Bai Lang in the stomach and clearly hits Bai Lang on the back of his head, but Bai Lang questionably starts bleeding from the corner of his mouth. 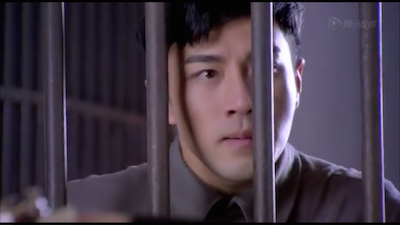 Lei Ba Tian show up with Bai Lang’s men held hostage, and forces Bai Lang to admit to all the crimes that he’s been framed for, or else he’ll kill everyone (this is so Lei Ba Tian can take over Bai Lang’s business easier). 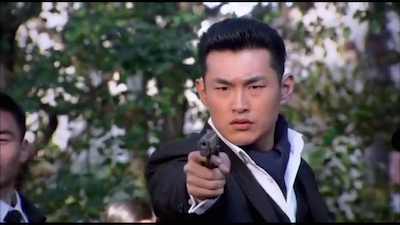 Lei Ba Tian shows that he’s serious by killing off one of Bai Lang’s men. Look what you’ve done Shi Tou!!! I absolutely hate 小人 people that plan behind your back. If you want revenge, be a man and do it straightforwardly ok?! Bai Lang, being the type of guy he is, doesn’t want to see anyone else hurt. He immediately turns himself into the police, and admits to all his crimes. My heart hurts. Can this stop happening? 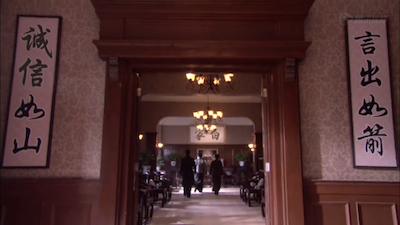 Our last scene is Xu Guan and Chun Hua. Xu Guan is questionably in Bai Lang’s office (why isn’t he kept with all the other hostages) so Chun Hua can conveniently set Xu Guan free. At this point, I’m very surprised that Chun Hua is staying with Shi Tou after what he’s done to her friends and family. 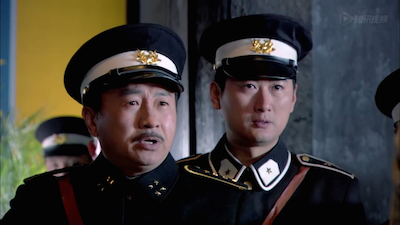 I don’t think my love extends so far in accepting someone unconditionally like this – what Shi Tou’s done reflects poorly upon his character, and what he’s done to friends and family is unforgivable. 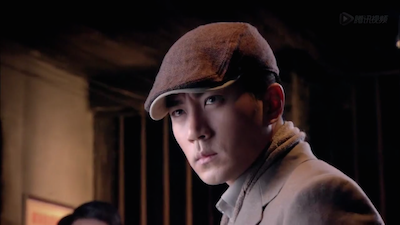 I wonder how Chun Hua and Shi Tou will end (because I think Shi Tou ends up having a bad ending). Sigh – tomorrow will be a very sad episode too. I nearly teared up watching it already, so I’m sure I’ll be crying watching the actual episode. It includes Mei Er’s botched attempt to save Bai Lang, resulting in her death. It also includes Shi Guan pretending to be Bai Lang, and blowing himself up in order to save Bai Lang from being hunted. That’s two promised deaths already on our death counter. Can you believe we only have two days left in this drama? Does anyone have any recommended new dramas? Lol it is funny how Shi Tou suddenly becomes evil. There were no signs of it throughout the series. In fact he always happily smiles every time bai lang is happy. 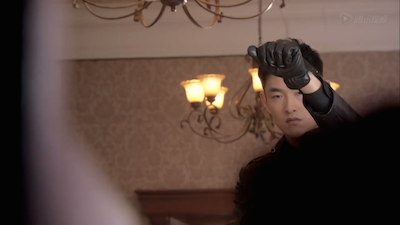 It’s like the producer suddenly decides ok lets make him a bad guy. I don’t agree with what he is doing, but it seems to me that Shi Tou does not want to kill people he likes (from looking at trailers, I stopped watching the series) he was held back when Mei Er was killed and also what bothers me is the part when Xu Guan dies. 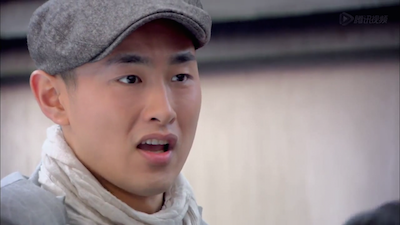 Jiang Xin appears and gasps loudly and tell Bai Lang to quickly go. 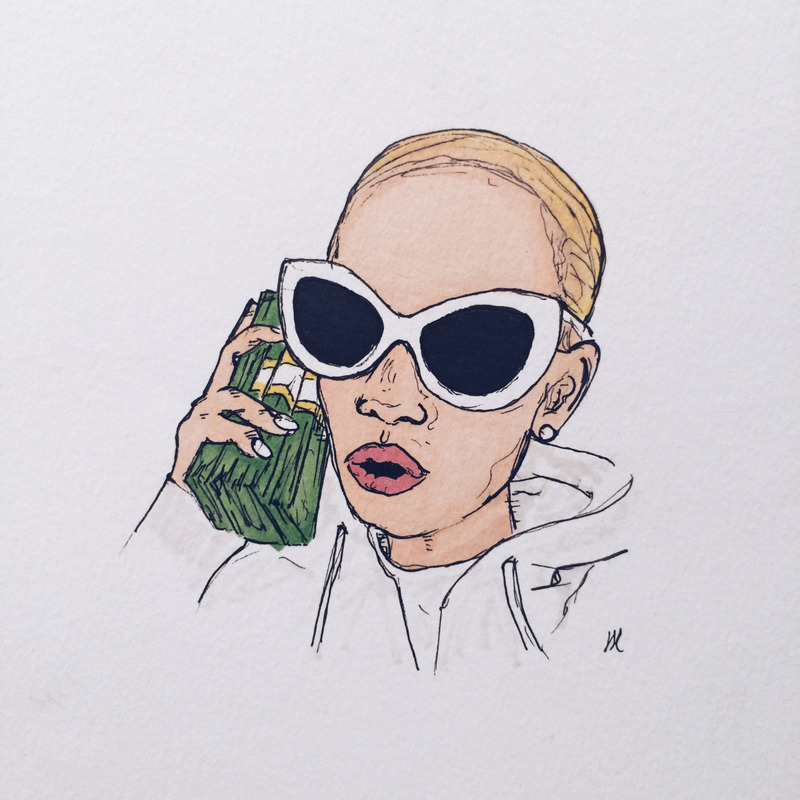 Like…. She’s not far away from Shi Tou… Can he not see her??! Doesn’t seem to have that many obstacle blocking her (plus she’s standing with a group of people) err drama again?! Doesn’t look like it. 😦 I think they postponed due to CNY. I haven’t seen anything online, no new trailers either. I keep checking but nothing. 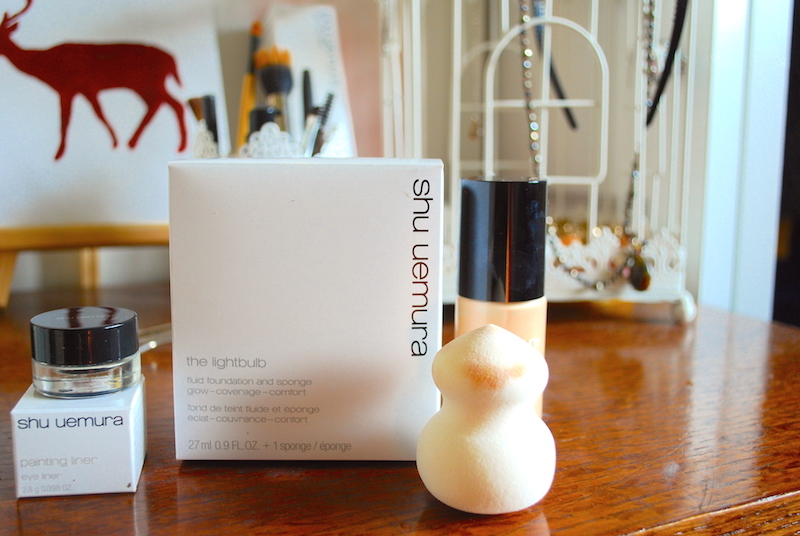 Sigh looks like we have to get the tissues ready for umm… This week? Booo! I saw the series dates are 1-28 to 2-21. They prb won’t air on 2-19 either. What is a girl to do without her daily dose of Hawick? !